Use the form below to contact tour Serbia and Bosnia-Herzegovina in seven days directly. When you travel you prefer to combine different countries and cultures? With this Serbia and Bosnia tour package you’ll visit only two countries, but you’ll have an impression that you visited many more. Thanks to diversity in nature, cultural heritage, local customs and people influenced by various cultures. As previously said, you can expect multi-country experience, even though you’ll visit only two. Belgrade and Sarajevo are two capitals which are specific and have many things to offer to their visitors. Everything else you’ll visit while traveling along the way, both in Serbia and in Bosnia-Herzegovina is just the cherry on top. There are UNESCO sites, scenic train ride, breathtaking views, local food, wine and more. 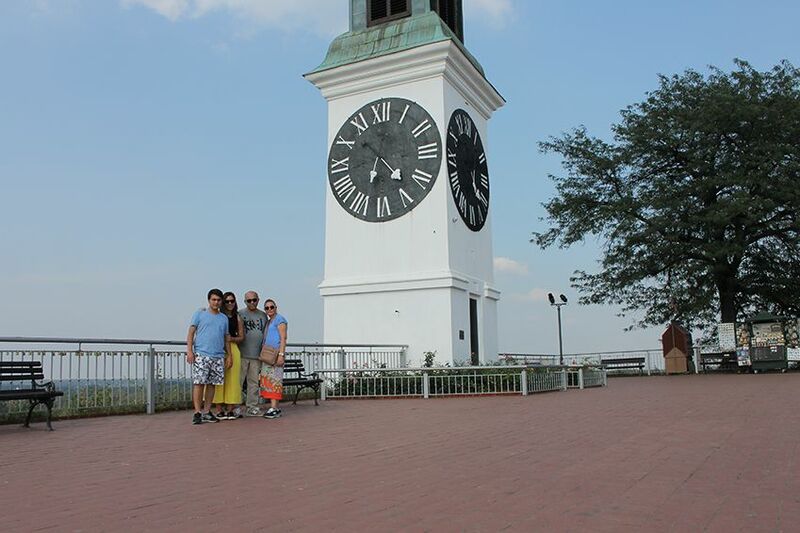 On the other hand, if you look for more in depth exploration of just one destination try our Serbia in ten days tour. After #YourSerbiaHost meets you at the airport, bus/train station or wherever we agree to meet you will take you to your hotel Hotel City Savoy**** (two nights) for check-in. 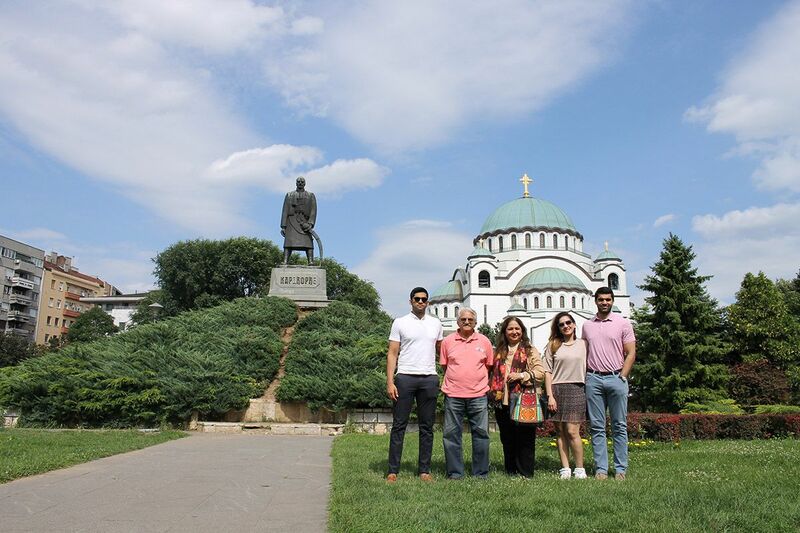 After quick check-in and short brake we’ll take you on a Belgrade sightseeing tour. Depending on your arrival time this first day plan can be customized. We’ll take you first to Belgrade fortress, the most iconic Belgrade landmark. 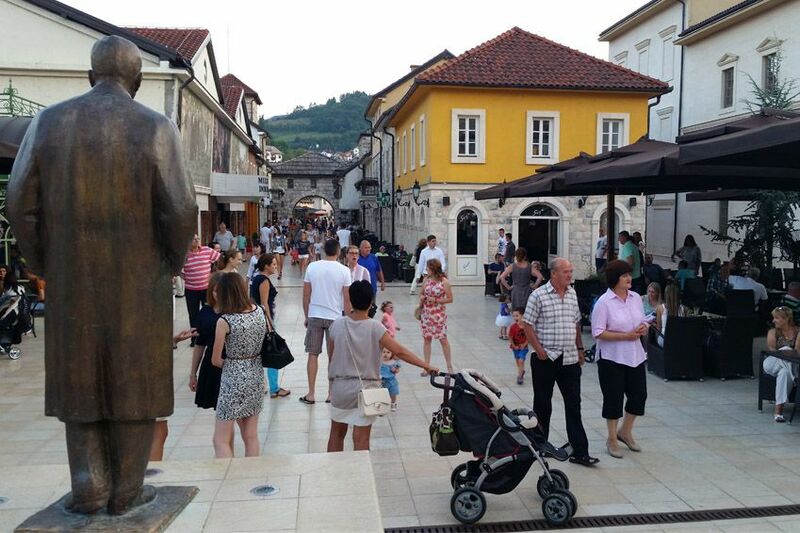 Then from the fortress we move to other part of the city, posh Dedinje. You’ll visit House of flowers, which is eternal home of former Yugoslavian president Tito. #YourSerbiaHost will explain how Tito’s cult was nurtured during his life, but also long after he was gone. 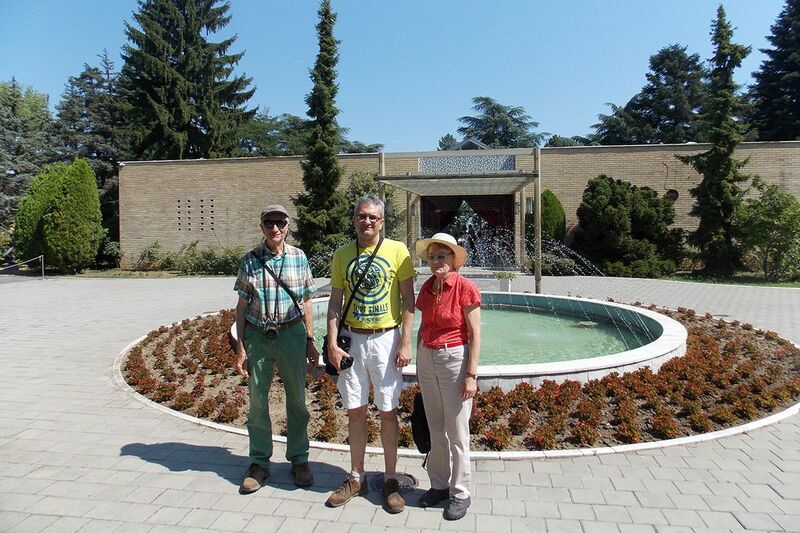 From controversial Yugoslavian dictator’s tomb we’ll take you to a holy place, to St. Sava church. This the biggest Orthodox temple in the Balkans is dedicated to true saint who was born in the XII and who brought autonomy to Serbian Orthodox Church in the XIII century. Rest of the day you have free to explore Belgrade on your own. Tips and recommendations will be provided. Second day is reserved for Vojvodina region and its main attractions. We’ll take you to first to its sole mountain Fruška gora. Here you’ll visit monastery Krušedol from the XVI century and then you’ll continue to town of Sremski Karlovci. This cozy little town has great connection with the mighty Habsburg Monarchy and you’ll learn about this connection on the way. Next stop is Petrovaradin fortress, where you’ll learn why it took 88 years for the complex to be completed. Lunch and gourmet part of the day is planned in a small wine cellar where wine maker is also a cook. He will serve his homemade food and match it with his fine wines (lunch is not included in the price). 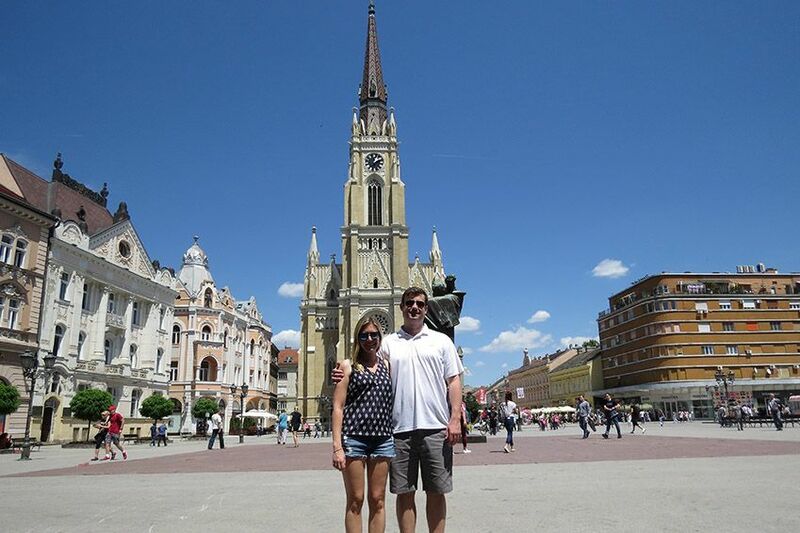 After lunch we’ll take you to the center of Novi Sad for a walk through its main streets and attractions. You’ll get back to Belgrade in the evening. You’ll leave Belgrade and you’ll head towards Tara National Park. First stop en route will be town of Bajina bašta famous for Drina river house. Here we’ll take a coffee break and enjoy the views from the terrace. Next stop is the source of river Vrelo, also known as river Godina (Year), thanks to its length of 365m. Here by the fresh water we can have lunch break in a local restaurant (lunch is not included in the price). After the break we’ll get on Tara Mountain where you’ll experience two ultimate attractions of this National Park. First will be a walk through the forest which is older than human kind and its “Carpet Meadow”. Second attraction is the famous Banjska stena observation point which will appear after a short hike on forest trail. It’ll offer spectacular view over the Lake Perućac. Finally we continue to Mokra Gora town for the rest of the day. You’ll spend the evening in the complex which is a creation of our famous film director Emir Kusturica. Hotel Mećavnik**** is your accommodation for the night and you have rest of the day for yourself. 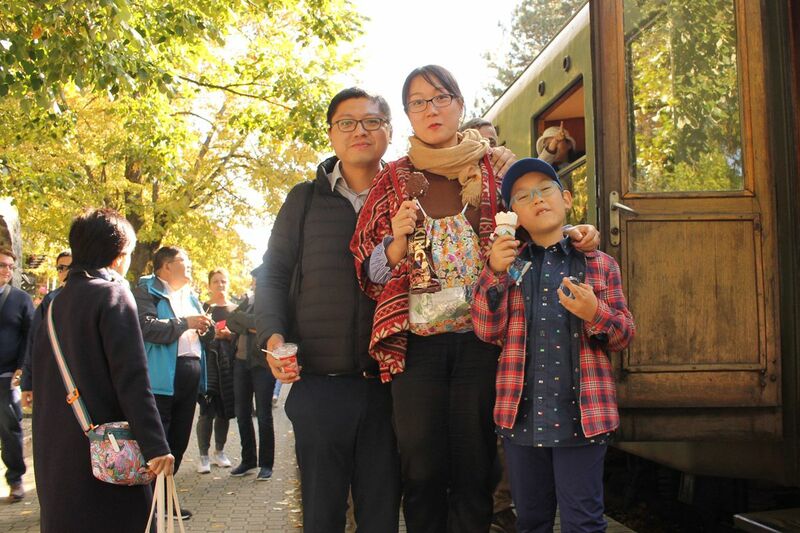 Fourth day will start with scenic train ride on Sargan Eight railroad. Here you’ll experience most attractive narrow track railway in this part of Europe, famous Sargan Eight train. When we finish with the train ride we will leave Serbia and cross to Bosnia to visit Višegrad with famous bridge over river Drina dating from the XVI century. Yugoslavian writer Ivo Andrić who wrote the novel with the same name Bridge over Drina won the Nobel Prize in 1962. Here you’ll enjoy a boat ride on Drina River with a local captain and lunch on Drina bank (both optional and not included in the price). From Višegrad we’ll continue you to Sarajevo. This drive will be another scenic ride through picturesque Bosnian landscapes. 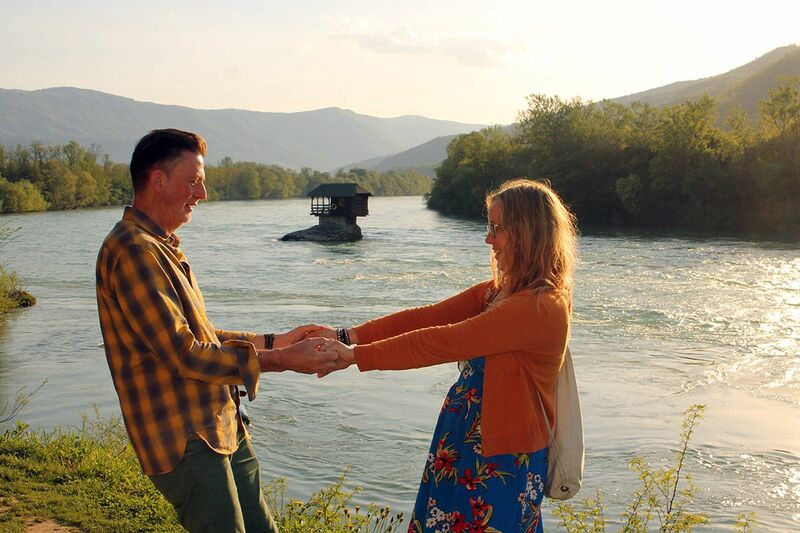 First you’ll enjoy marvelous colors of Drina river, while we cruise along the bank, and after when we set off to the mountains you’ll experience beauties of Romania Mountain, a high plane located in central Bosnia. In the late afternoon you’ll reach your Hotel Aziza**** where you’ll stay for next three nights. Your fifth day of Serbia and Bosnia tour package will be fully dedicated to Sarajevo exploration. First stop of the tour is Sarajevo Tunnel Museum – Tunnel of Hope. Here you will feel how it was like to pass through the only exit and entrance to the city during the Sarajevo siege. You will watch a short documentary and hear stories from people who survived it all. To relax you from the difficult subject next stop of the day will be Vrelo Bosne nature park – source of river Bosna. Vrelo Bosne is a peaceful setting ideal for relaxation of your body and soul. Here you can take a picnic or walk along the crystal clear water. After time in nature, we recommend an optional 10 minute horse carriage ride through wonderful Ilidza valley. Further we’ll take you to Trebević Mountain, Sarajevo’s favorite excursion place. First stop is Brus recreation area with numerous activities, small ZOO, walking paths and restaurants. Brus is also a perfect place to make a picnic or just enjoy the mountain air. Next stop is Sarajevo Bobsleigh, a remaining monument of Sarajevo 1984 Olympic Games. For the end of the mountain tour we planned a visit to Sunnyland amusement park. Sunnyland is perfect place for children with its Alpine roller coaster. Adults can take a perfect panoramic photos overlooking Sarajevo. After the day exploring Sarajevo and its surroundings you’ll get back to your hotel for some relaxation and free time. 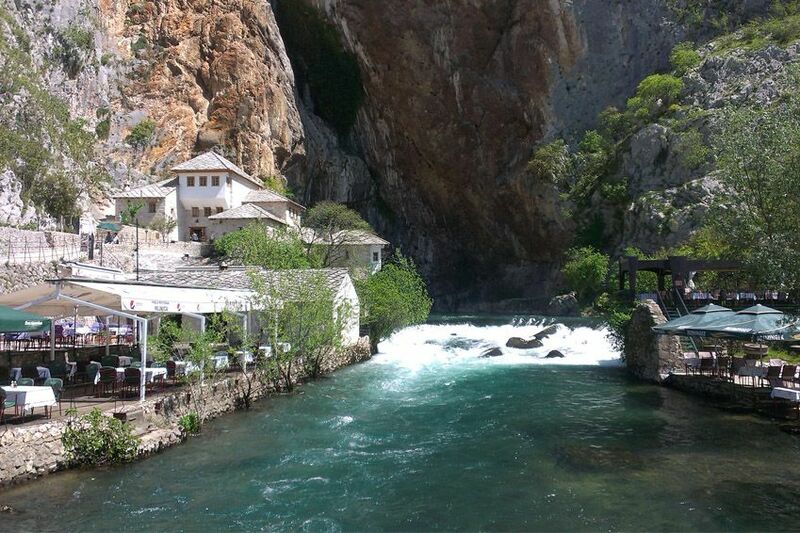 After the breakfast at the hotel, guide will take you to the sunny and warm part of the country, Herzegovina. Your first stop will be Konjic, small town dating from Ottoman empire. Here you will have a short tour along the Konjic Old Bridge and a coffee break overlooking the Neretva river. Next stop will be the highlight of the day trip. 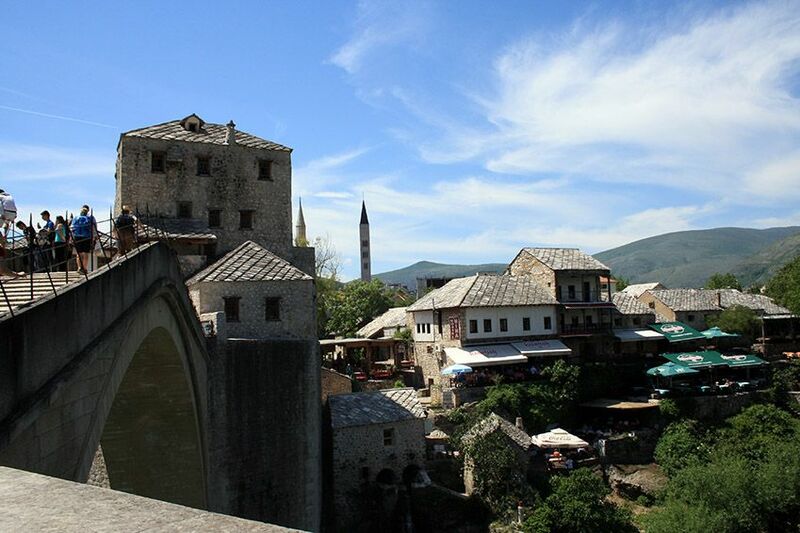 We will take you to Mostar and its Old Town. You will visit its world famous UNESCO Heritage site, worldwide known Mostar Old Bridge where you will hear all the legends and stories about this amazing example of Ottoman architecture from 16th century. After a wonderful day enriched by history and natural beauty of Herzegovina region, laid back and make yourself comfortable and enjoy the ride back to Sarajevo. On the last day of your Serbia and Bosnia tour package we’ll give you transfer to airport or bus/train station. Depending on your travel arrangement you can spend some more time exploring Sarajevo Old Town Baščaršija with a 2 hours Sarajevo Walking Tour. On the tour you will find out all about the city’s turbulent past from its early days of Ottoman empire, its Austro-Hungarian occupation, Yugoslav period all the way to modern times and its unfortunate war events of 90’s. Tour itinerary given in the description is not fixed, if you want to have this tour customized, let us know. If you need transfer service to Belgrade before the tour please mention that in inquiry. Every additional service or customization of the itinerary can affect the price. All accommodation facilities from the itinerary are 4* categorized, if you want more luxurious or less expensive accommodation please state that in the inquiry, but have in mind that 5* accommodation is available only in few places outside of Belgrade. This Serbia and Bosnia tour package can be done in the opposite direction, from Sarajevo to Belgrade with the same stops. 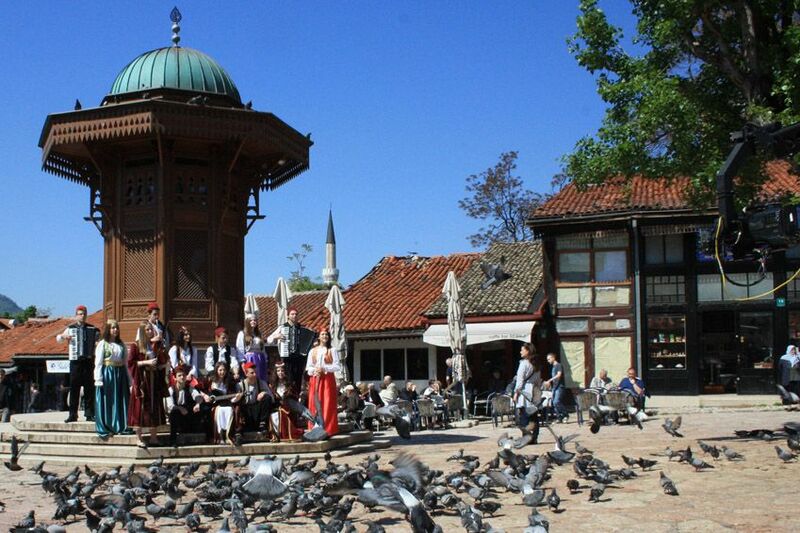 We are delivering this tour in cooperation with our partners from Invicta Travel Sarajevo. Version of the tour starting from Sarajevo can be found here. Booking process is straightforward. First you send initial inquiry with all necessary details such as: your preferred travel dates, number of travelers and additional requests if any. After we confirm availability next step is to make deposit payment. There are two ways for payments processing, online with credit card, or direct bank transfer to our bank account. After deposit is received we’ll issue booking confirmation and you are all set. Remaining balance should be set before tour departure. If you need another way to book the tour Contact us. Driving between tour points, walking when on sites. Boat ride and train are part of the tour as well. On request. Year round. During period 31.10-01.04. without Sargan Eight train. Easy for most, no matter of age and fitness , as long as you are fully mobile. 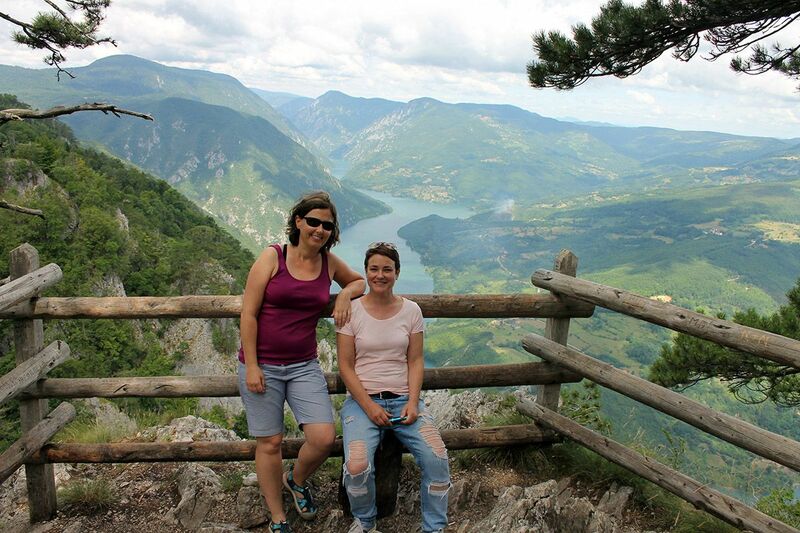 Serbian Private Tours is a fully licensed tour company. As such your booking is fully insured in case of insolvency of travel organizer and for forfeit of travel organizer.